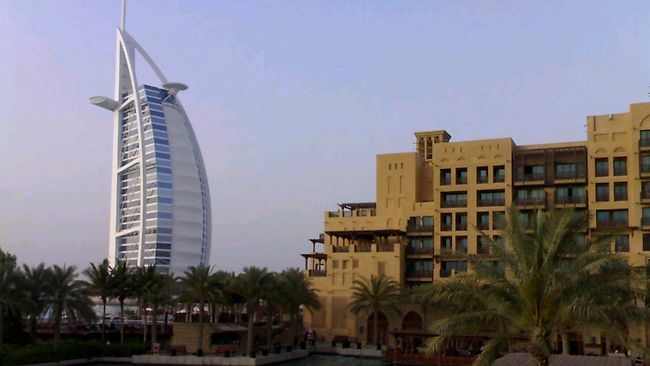 Australia "needs bigger hotels, more airports"
Tourism sector in danger unless we "invest"
AUSTRALIA should consider building a Dubai-style oasis in the middle of the desert to help boost its tourism potential, a leading economist says. Access Economics director Professor Ian Harper, who will speak at the Australian Tourism Directions Conference in Canberra today, said Australia's share in the international tourist market would drop within the next three years if it didn't urgently invest in new experiences and infrastructure, such as hotels and bigger airports. "We need to be imaginative and think very laterally," Prof Harper said. "It might make sense to build some dedicated facility out in the desert which would be a major distributing hub for other parts of Australia. "We are on the cusp of the largest movement of people into the middle class that the world has ever seen and there's going to be plenty of demand from China and India and other parts of Asia. "If we don't plan for what is going to be in many ways a bonanza we're going to be sorry for that." While Australians think of lying on the beach for their holidays, Prof Harper said that's not necessarily what our Asian neighbours want to do. "If we were to keep our share constant we would have to build a whole bunch of new hotels and rebuild our tourism structure," he said. "If we can just keep our relative position as these countries move up the development curve there will be more than enough for us to build a very big industry out of this." Prof Harper said Australia was too focused on the mining industry at the expense of service industries, like tourism, and needed to diversify. "Tourism is one of the most regionally dispersed industries that we have and a lot of tourism money finds its way to regional Australia and into indigenous communities," he said. While Australian tourism has struggled in recent years, thanks to a strong dollar and the economic downturn, Prof Harper said there was room for growth in the long-term. "The exchange rate is going to go up and down and there will be good seasons and bad seasons," he said. Tourism Australia managing director Andrew McEvoy said the conference, a result of the National Long-Term Tourism Strategy, would set the agenda for the next decade. His said the number of seats on planes coming into Australia needed to rise by 50 per cent and domestic air seats by 25 per cent if tourism was to achieve its $140 billion potential. He also wants to see 40,000 new beds, largely in capital cities, and better quality regional accommodation.